When I baked Danish Tebirkes for the first time, I revisited my childhood. 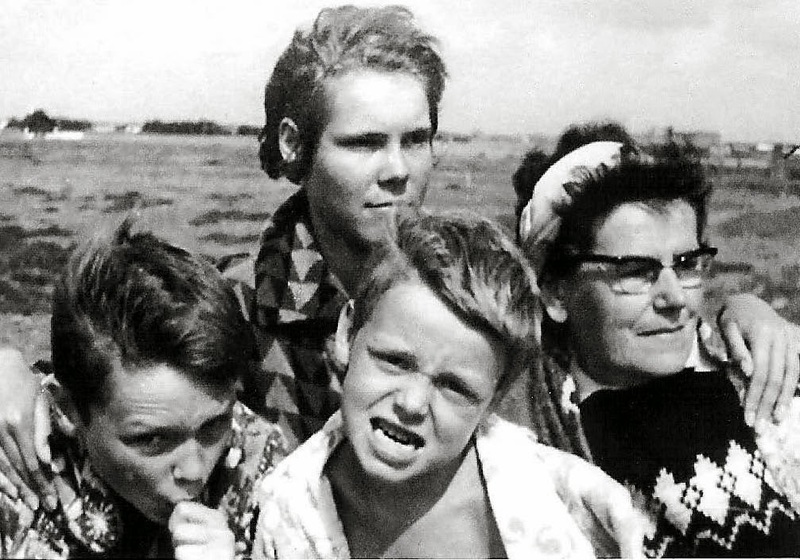 For many years my grandmother, aunt, two younger cousins and I would spend our summer holidays in Denmark. Every morning before breakfast, my cousin Thomas or I would bike to the little grocery store to pick up our order of freshly baked rolls. The one (and only) time little Stefan was sent to the Købmand, he cunningly disqualified himself by leaving a Hänsel-and-Gretel trail of lost groceries on his way home – Thomas and I had to go back and retrieve them. 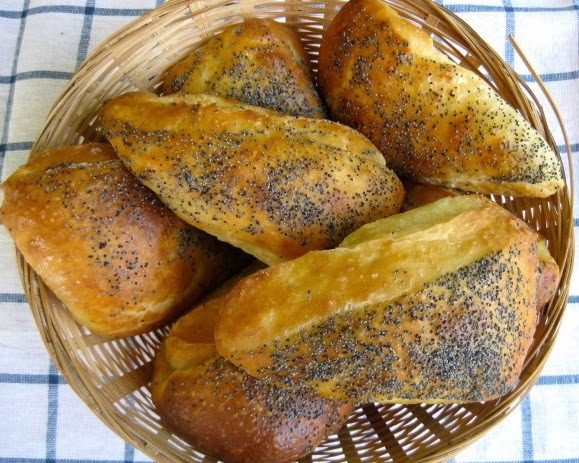 Though I liked crusty Rundstykker, the regular rolls, my favorites were buttery Tebirkes, croissant-like rolls sprinkled with poppy seeds. Those, of course, were more expensive than Rundstykker, so we didn’t get them very often. Then one day my uncle Alfried came visiting. The next morning he drove to the grocery store to pick up the rolls. When he came home with the bags, I was the only one up, everybody else was still getting ready upstairs. I laid the table and emptied the contents of the bags in a basket. And there I saw a Tebirke in all its poppy seed glory. Figuring it got in between the other rolls by mistake, I thought nobody would miss it. After I had eaten it, I saw another one – and since they tasted so good and nobody would know, I ate it, too. In mixer bowl, whisk together flour, salt, sugar and instant yeast to combine. Pour in milk and water, then add egg and melted butter. Mix on lowest speed (paddle attachment) for 1 minute, then on medium-high for 10 -15 seconds more. Turn dough out onto a floured workspace, gather to a ball (with floured hands), and place in a lightly oiled bowl. Mist with spray oil, cover and refrigerate overnight. (The butter layer is very thin, it can’t be rolled out to form a brick, it has to be spread over the dough) For the butter layer, place butter pieces in a mixer bowl, add 5 g flour and mix with paddle attachment on lowest speed to break down butter into smaller pieces, until mixture is no longer lumpy. Increase speed to medium-high and continue mixing until mixture is smooth. Fold unbuttered half of dough over buttered half and press down to make it stick. Then fold dough over once again from the long side. (The result should be a ca. 50 cm x 10 cm (20″ x 4″) log. Preheat oven to 400ºF/205ºC. Line two sheet pans with parchment paper. Cut dough block across the middle in halves. 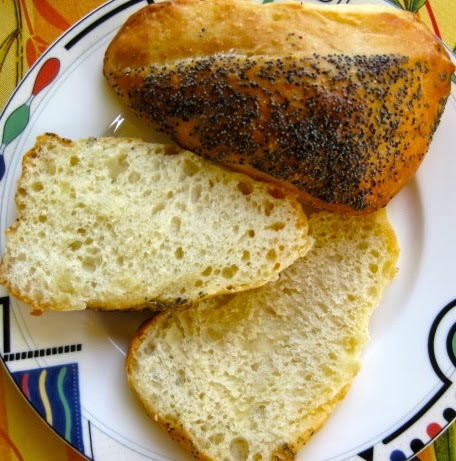 Brush top with egg white and sprinkle with poppy seeds. Cut each dough half in 7 – 8 triangles (I found a sharp chef’s knife worked better than my bench scraper – the dough is sticky). Transfer triangles to prepared sheet pans. Mist with spray oil, cover and let rise at room temperature for 30 – 40 minutes, until they have grown to nearly double their original size. 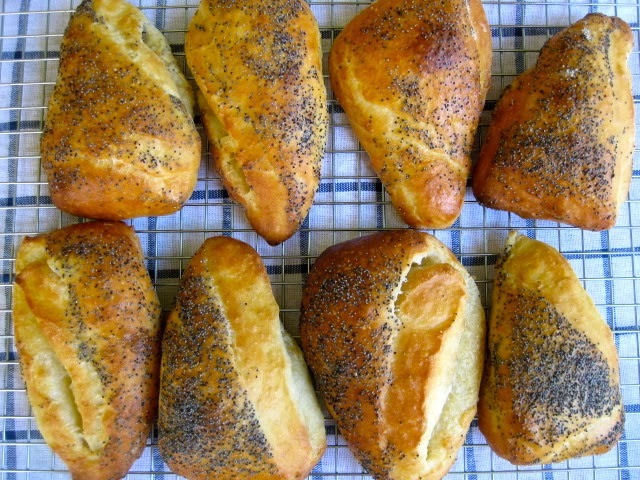 Bake rolls for 15 – 20 minutes (I used convection mode, rotating the sheet pans 180 degrees after 9 minutes, and continued baking for another 9 minutes), until Tebirkes are are a rich golden brown. Cool Tebirkes on a wire rack. Next Post What To Do With Leftover Cookies – Was kann man mit Keksresten anfangen?